A non-traditional love story that will stay with you long after you put it down. I absolutely loved this novel. 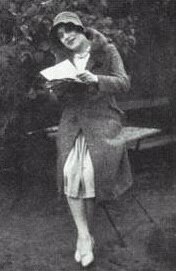 The novel itself was inspired by the marriage of Einar and Gerda Wegener, both artists living in Copenhagen in 1925. As Einar realizes that he is indeed a woman, seemingly trapped in a man’s body, he becomes Lili and the three of them live together as a family of sorts. At first, he dresses as Lili in the privacy of the apartment that he shares with Greta but as the weeks pass and with the support of Greta, he begins to allow Lili to take short shopping trips. After several outings, Lili is introduced as Einar’s sister and even attends a few social gatherings. As her confidence grows, Greta sees less and less of Einar and she realizes that soon her husband may not exist at all. The love that Greta has for her husband is what encourages her to support his transformation. As afraid as she is of losing Einar, she feels that his happiness means more to her than their marriage. Once she accepts this, she begins to seek medical advice which results in Einar’s permanent gender modification. The first of its kind. There are some very tender moments and some very difficult decisions made. Lili is surrounded by supportive friends as she completes the transformation but where does this leave Greta? Greta misses Einar yet she loves Lili and realizes that at some point, she must let Lili live her own life. I’m telling you, this story just broke my heart but in a wonderful, “ball up your hankie and shed a tear” kind of way. This is my book club’s pick for this month (selected by me) and the meeting is tomorrow so I have to wait a day to hear what they thought of it but I am hoping that they enjoyed it as much as I did. The other item that I want to mention is that The Danish Girl is being made into a movie and will star Nicole Kidman as Einar/Lili and Charlize Theron as Greta. How’s that for casting? David Ebershoff also wrote The 19th Wife, which I know a lot of you have read. The Danish Girl was his first novel. Wow, what a story! How interesting the way Einar discovered his/her true self! What an intriguing story. I think the fact that it's base on a true story makes it all the more interesting. Sounds like a different sort of story. On to my wish list with it! Thanks for the great review! I'm so glad you reviewed this – I haven't been able to find out enough about it to make a decision on whether I wanted to read it or not. Now I have more info, and I think it's a yes. It sounds strange but intriguing, and I trust Ebershoff as a writer (I loved The 19th Wife). Thanks! Sounds fascinating and handled very sensitively! I haven't read any of his books yet, even though I have "Pasadena" in my TBR pile. It seems like he is very diverse in what he choses to write about. Man! When I was at Vroman's for his signing I went back and forth on what to get and got Pasadena. Now I wish I had gotten this! What an interesting love story! I've heard tons about The 19th Wife (which has been languishing on my TBRs for far too long), but I don't think anyone else has mentioned this book, at least not in a way that made me pay attention. Thanks for the great review, Ti! This sounds fascinating, and I'm putting it on the list right now. I'm really curious to see what Nicole Kidman will look like as a guy in that movie. I've always thought of her as a super-feminine lady, but I know that she's a great actress, so it should be fun to see. What did your book club think? I think I'll have to add this to my list. 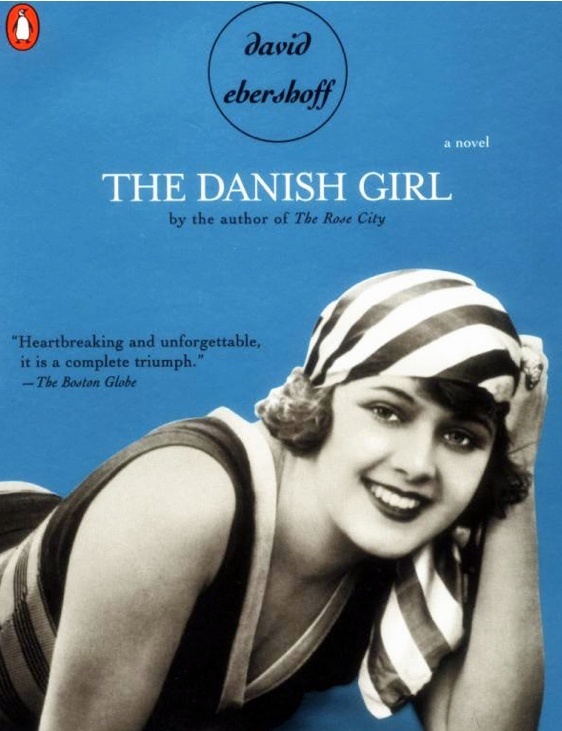 THE DANISH GIRL has been on my wish list for a while, but I haven't yet read it. Must do it before the movies comes out. Thanks for a great review, and a reminder that I need to get this! Wow! This one sounds like a must-read. I'm adding it to my to-read list. Very interesting – definitely something to read before the movie comes out. I really enjoyed The 19th Wife and immediately ordered a copy of this book upon finishing it. As often happens with new books though, it still waits its turn in my TBR room. I am glad to hear you liked this one so much, Ti. I look forward to reading it. I love nontraditional love stories — and I think this would definitely fall in that category! After reading your review, I had to run back to see if this was non-fiction… definitely interested to read it.